Appearing several times on Oprah and The Today show, and on her own PBS-TV special, Marcia Wieder, CEO and Founder of Dream University® is leading a Dream Movement. She wants to restore faith in the American Dream. Appearing several times on Oprah and The Today show, and on her own PBS-TV special, Marcia Wieder, CEO and Founder of Dream University® is leading a Dream Movement, and has been able to share her message with millions of viewers. She is a best-selling author and has written 14 books dedicated to achieving your dreams. 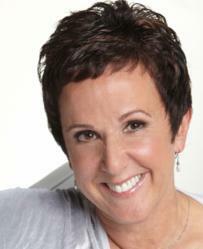 Marcia Wieder, CEO and Founder of Dream University® is leading a Dream Movement. With over twenty years of coaching, training and speaking experience, her inspiring message has touched audiences from 50-5000 at companies such as AT&T, Gap and American Express. Whether teaching at the Stanford Business School, speaking to executives in China, or addressing young women at Girl Scout Camps, her riveting style impacts audiences worldwide. Marcia believes there is no dream too big or too small. She believes there has never been a more important time to dream. Marcia’s new campaign of making one million people achieve their dreams is her way of making the world a better place. “When one million people believe in their dreams and have practical tools to achieve them, it can make a difference in the world”, says Marcia.